To have a clear picture, consider this, in a span of ten years, between 2007 and 2018, the cost of a two year management course at the Indian Institute of Management will have risen to Rs 19.5 lakh, a 400% hike! Similarly the tuition fee for undergraduate courses such as engineering at the Indian Institute of Technology has risen from Rs 90,000 per year to Rs 2lakh per year. 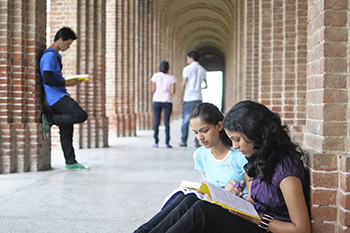 The cost of higher education in India is rising at an amazing rate. To have a clear picture, consider this, in a span of ten years, between 2007 and 2018, the cost of a two year management course at the Indian Institute of Management will have risen to Rs 19.5 lakh, a 400% hike! Similarly the tuition fee for undergraduate courses such as engineering at the Indian Institute of Technology has risen from Rs 90,000 per year to Rs 2lakh per year. Without a doubt, if you do not have a deliberate and clear plan to build a corpus large enough for your child’s education now, you are obviously jeopardizing their future. Below are 3 proven strategies to ensure your child gets a college education. If your child is under five years, starting off your savings with a Systematic Investment Plan (SIP) offers you a workable solution. At an average interest of 12%, SIP’s offers a good solution for long term objective driven saving. For example; a five year old child, targeting a corpus of Rs 25 lakh would require monthly investment of Rs 5,000 for 15 years. This is will mature at just the right time for joining higher education. Starting early gives you the opportunity to of amass a larger amount by making a smaller monthly contribution and benefiting from the multiplier effect. Starting early also allows for more indulgence into higher risk investment options that give higher return such as equity markets. If your child is slightly older, say between ages 7 and 11, it means you have less time to build a corpus and you have a lower risk appetite. Monthly Income Plans (MIP’s) from mutual funds are a good alternative. MIP’s offer a less risky investment option; however, they make a lower return as compared to equity funds and balanced funds. Another disadvantage of MIP’s is that they are taxed at 20% after indexation benefit unlike equity and balanced funds. For parents with older children, above 12 years, the goal is nearer so you should focus in safeguarding what you have accumulated over the years. Progressively reduce the proportion of your investment corpus from equity funds and balanced funds to short-term debt funds and bank deposits. These channels offer a good and safe method to continue earning a return while you build the corpus. To wrap up, it is important that you regularly monitor your investment and adjust it accordingly (with a lot of advice from financial experts). By implementing this 3 strategies you will have ensured that your child gets a college education despite the inflation threat.